Calvin Lai's art is a mixture of medicine, meditation, and personal growth. He found early on that drawing was something he loved, and to make a picture appear lifelike became his goal. Through constantly drawing, his work began to breath, and his fascination with value and perspective led Calvin to become a student of realism. Eventually he moved from where he grew up in Los Angeles to San Francisco. There he studied drawing and printmaking at San Francisco State University. In 2008, he enrolled in the Academy of Art for illustration, but began painting instead. He found that he preferred the fine arts over commercial illustration, and now works as a full time San Francisco oil painter. 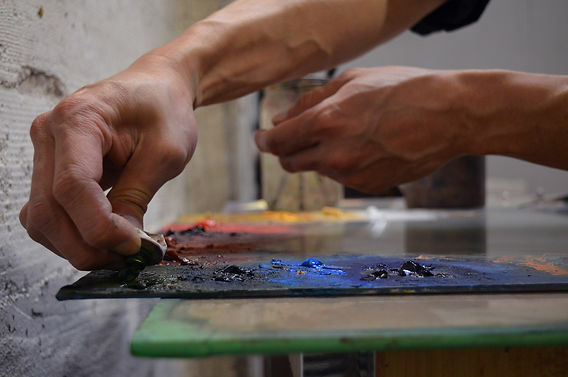 Since then, working from his studio, he has continued to develop and refine his oil painting skills. Lai’s work has been shown nationally in galleries, group exhibitions and juried shows. 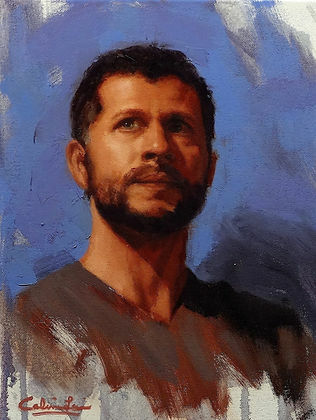 He has executed a large number of portrait commissions over the past several years, and his paintings have appeared in national and international publications. Throughout his career, Calvin Lai has expanded his focus from figurative and portraiture to encompass a variety of subjects such as still lifes to the San Francisco cityscape. Now he has no borders to what he chooses to paint, and he is driven to capture everything around him through his paints, brushes, and determination. 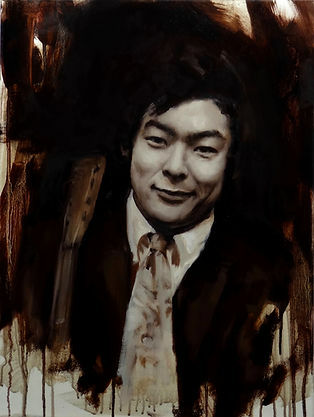 Calvin Lai never thought he would become an oil painter. The first time he tried painting he made mud, so he stayed away from the medium. It was later in his life when he began to control the medium and then realized oils were incredibly suited for his particular style of realism. He calls it an accidental discovery, a life changing one, but an accident all the same. Drawing people was, and still is, his first love. As a child he was given pencils, and he became obsessed with realistically capturing faces and figures. He grew to understand how to render lights and shadows in order to make pictures full of dimension. Drawing was like being an illusionist, and making a blank page come to life was magical to him. He soon gained the attention from his teachers where he was placed in the advanced art programs. During this time he had a penchant towards capturing detail. Upon leaving high school, Calvin moved to San Francisco to continue his exploration into art. But after graduating with a bachelor's degree he became frustrated. The school offered no instruction or guidance on how to become a professional artist. Faced with questions of survivability surrounding an inherently difficult field, Calvin Lai put down his pencils and didn't draw anything for seven years. During his seven years away from art Calvin travelled, studied music, and had other disciplines and jobs that began and ended. But he couldn't stay away from art forever. He became fascinated with children's books illustrations and was inspired by the creativity of the genre to begin drawing again. His familiar passion for art reignited within him. He decided to enroll at the Academy of Art in San Francisco in order to study commercial illustration. His studies progressed, but he found that digital art dominated the field. He felt no affinity towards working with computers. His frustrations grew again as he knew he would have a serious disadvantage in the commercial illustration world if he didn't become skilled with computer art in some way. In order to relieve his fears and anxiety he took more and more painting classes. Though he didn't know what he was doing, he found himself working hard to understand the medium. For him creativity and art needed to have a tactile process to be fulfilling. Oil paints gave him that. So he poured more energy into it. It was a slow progression when he first began, and painting felt awkward to him. But eventually Calvin began to understand how to work the medium, and he realized that he felt an inspiration for painting that he didn't feel in his illustration classes. Energized with finding this unexpected passion, Calvin decided to pour himself into learning all about oil painting and how to prosper in the fine art world putting him on the path towards being the professional artist he is today. These days, as a San Francisco oil painter, Calvin creates unique fine art paintings for sale and works as a commission portrait artist. Over the years Calvin Lai's scope of subject matter has expanded and grown. 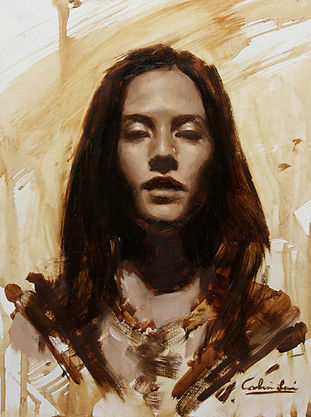 With a penchant towards figurative art and portraiture, Calvin Lai started working as a commission portrait artist. But feeling a staleness within his art, Calvin decided to expand his subject matter in order to approach his figures and portraits from a different point of view. He began painting landscapes and still lifes as an exercise, but soon found a greater sense of freedom within these paintings. His art started to change. It was during this time that Calvin's style became more energetic and full of movement. He found liberation through using colors and shapes to suggest detail and making areas not as developed as other parts of the composition. He realized to successfully paint a lake, or the San Francisco cityscape, or anything, a painter could reduce the details of what they saw and still render realistically, as long as they could paint a subject's essential elements. Calvin now applies the lessons he learned to every piece he paints whether a portrait, a cityscape, or a still life. 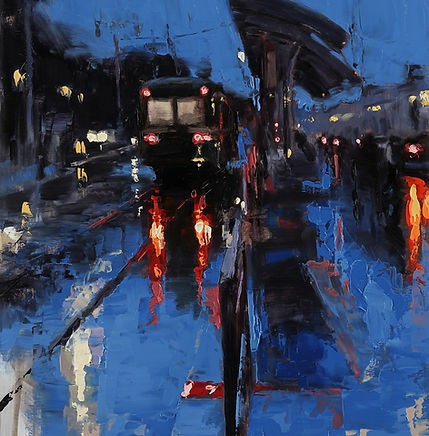 As a San Francisco oil painter, Calvin Lai has defied the odds and has been a professional artist ever since he graduated. Calvin is fortunate enough to have a studio space at the well known 1890 Bryant Street Studios. 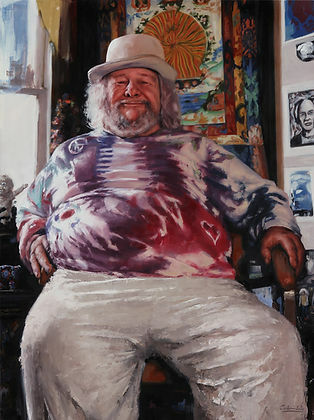 There he has been working as a commission portrait artist and developing several series of his own. Calvin's mantra is to be persistent. He is constantly at the easel or promoting his art. There are no limits to where he believes he is able to go. He lets his passion for painting fuel his drive to refine his style, expand his reach, and forge new paths for him within the art world. As a commission portrait artist I guarantee a high quality oil painting for you and your loved ones to cherish for years to come. Whether you would like a portrait of yourself, your family, your partner, your children, or even your pets I am available and look forward to working with you! Pronounced “Gre-zai,” these paintings are monochromatic pieces that are usually done in sepia tones or shades of grey. This beautiful technique was developed from classical realism. Mainly used as an underpainting for putting color on top, grisaille paintings were also used as a way to create the illusion of sculpture or relief on the canvas. There is a great amount of expression found within these pieces, and though there is a lack of color, these pieces still contain my signature style. These paintings come in full color and are highly rendered pieces. Portraiture is a discipline that takes a great amount of skill and time to complete, and I have had years of experience working as a commission portrait artist. I approach these paintings to not only resemble the subject but to also contain the feel of who the person is. Traditionally these pieces were done while the subject would sit for the artist. The length of time varied with the particular working methods of the painter. Working this way is a great experience but requires a time commitment from the client. It is for this reason that I also work from photographs, as stated previously. Whatever your level of time commitment is, I am more than happy to work with you in order to guarantee a fulfilling experience. Please keep in mind that all listed prices are for a single individual in the composition. Feel free to inquire about prices for multiple people in the painting, as well as larger canvas sizes. I generally suggest for smaller sizes to keep the composition focused on the head and some shoulders. Larger sizes can feature more of the body and even full body compositions for the largest size options. There is also a cost for the canvas, some materials, and, when applicable, shipping and handling fees. This can vary anywhere from $25 to $1,000 depending on the chosen size and where the painting needs to be shipped. Paintings are done on high quality stretched 12 ounce cotton canvas or fine grade stretched Belgian linen. Framing costs are extra.